Iron Armstrong is a long-lived example that good things can from terrible incidents. The youngest of three brothers in business together, Adam was always the most reckless and carefree. But he was tested when thieves broke into their factory hoping to steal a new formula, When Adam stood his ground the vial he held was shattered, spraying fluid across his body. At that moment, the storm outside blew the skylights in, and a lightning bolt surged down, causing Adam to fall into a vat of molten metal. He emerged like a man of iron, using new-found strength to capture the fleeing criminals. 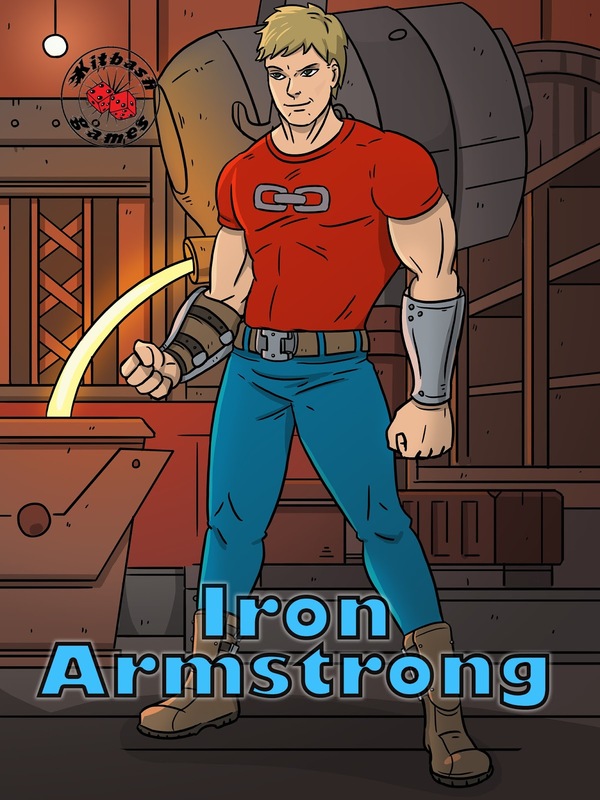 Over eighty years later, Iron Armstrong looks barely a day older than when he was transformed. The Iron Armstrong character has been through a few names and conceptual revisions in terms of my plans before finally committing to a more fixed visual while developing Supers Unlimited. There are quite a few influences on this guy, from name, to power set, to look. I wanted someone who had an old fashioned feel to him, and even a little hint of the pulps that predated super-hero comics. While not the most powerful hero of the Covenant of Justice mythos, Iron Armstrong is certainly one of the longest serving. Hahaha, a very classic superhero background! 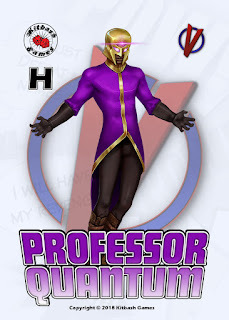 One that should be included in any superhero game.